Several thousand years ago the volcano under Santorini in Greece—known as Thera—erupted in a tremendous explosion, dusting the nearby Mediterranean civilizations of Crete and Egypt in a layer of white ash. This geological marker could be used to tie together many ancient historical events, but the estimated date could be off by a century. Contributing Correspondent Lizzie Wade joins host Sarah Crespi to talk about a new study that used tree rings to calibrate radiocarbon readings—and get closer ... See More to pinning down a date. The findings also suggest that scientists may need to change their standard radiocarbon dating calibration curve. 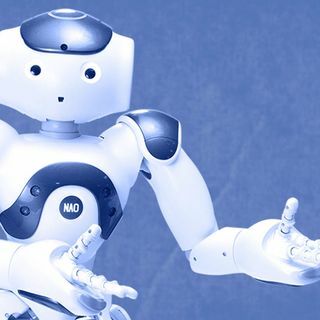 Sarah also talks to Tony Belpaeme of Ghent University in Belgium and Plymouth University in the United Kingdom about his Science Robotics paper that explored whether people are susceptible to peer pressure from robots. Using a classic psychological measure of peer influence, the team found that kids from ages 7 to 9 occasionally gave in to social pressure from robot peers, but adults did not. This week’s episode was edited by Podigy, with help from Meagan Cantwell.